 I have a popular post about fixing Any Video Converter’s profile problem by copying one file from one directory to the other directory. A few readers have responded saying that they do not know how to browse the file system and copy files. 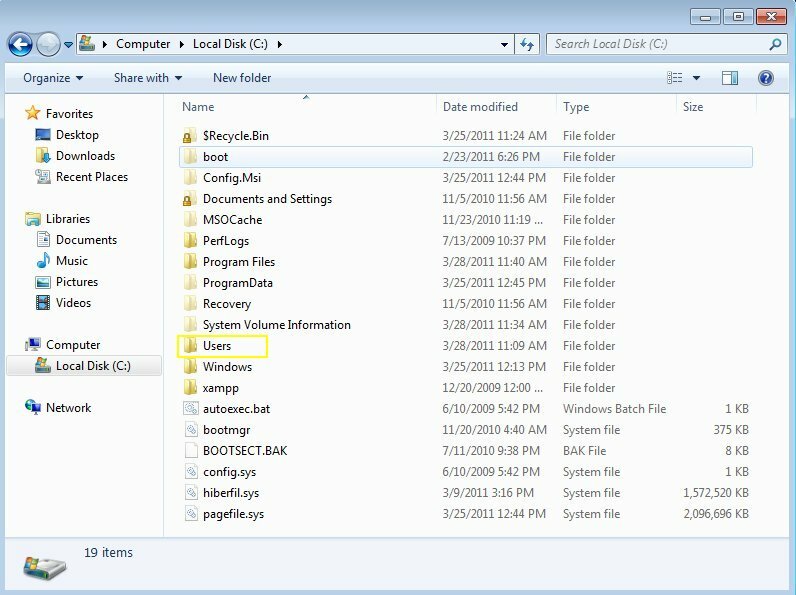 In this tutorial, I am going to show you how to browse the file system under Windows 7. 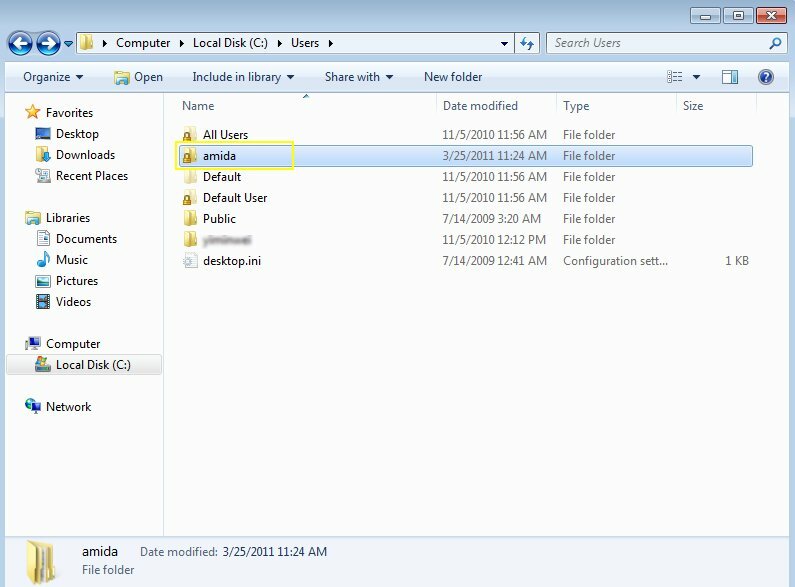 By default, there are a lot of hidden directories on Windows 7. 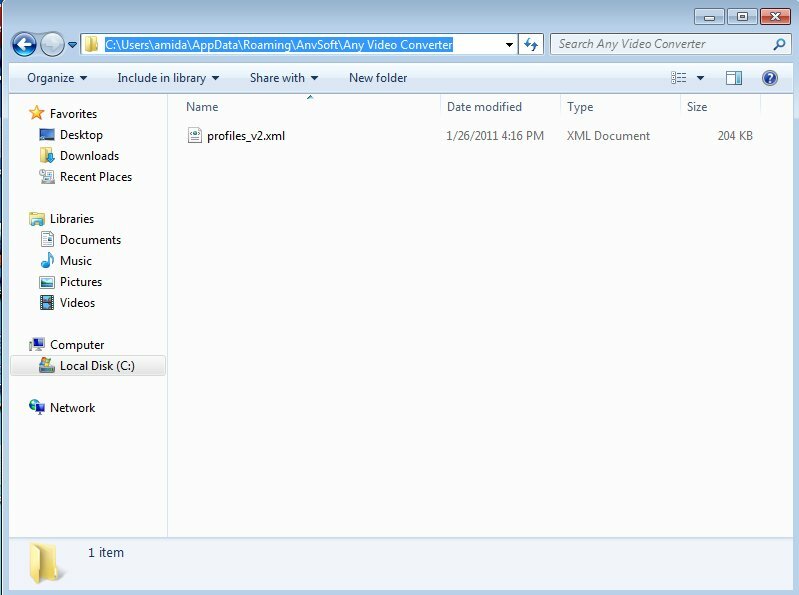 The first part of the tutorial shows you how to enable viewing of hidden files and directories. 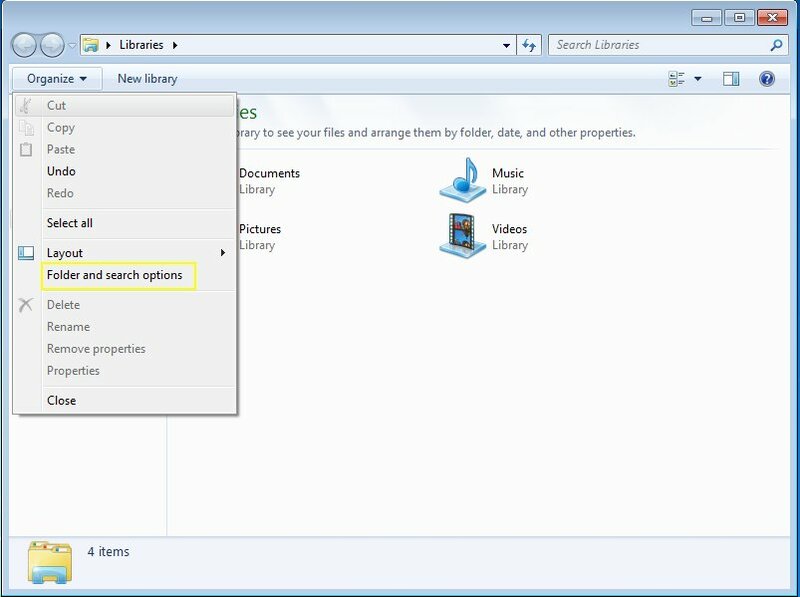 The second part of the tutorial shows you how to browse a directory. Click on the Windows Explorer icon on the task bar to invoke it. Click on Organize -> Folder and search options. Click on the View tab and click on Show hidden files, folders, and drives. 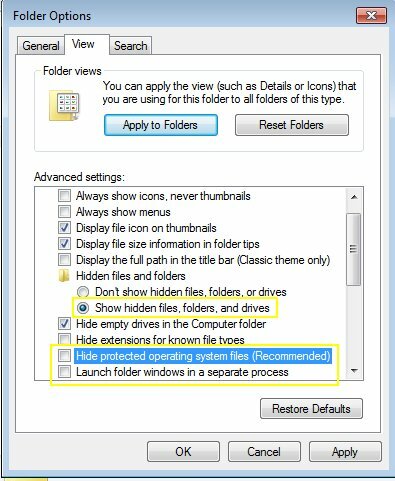 Uncheck Hide extensions for known files types and Hide protected operating system files (Recommended). You will be prompted with a warning. Just click on Yes to continue. When done, click on OK.
Now the Window Explorer is ready for you to browse. Here is our example directory: C:\Users\amida\AppData\Roaming\AnvSoft\Any Video Converter\ . Note that this is just an example; your machine does not have this directory. The first letter of the directory path “C:\” denotes the drive. We need to first get to this drive. 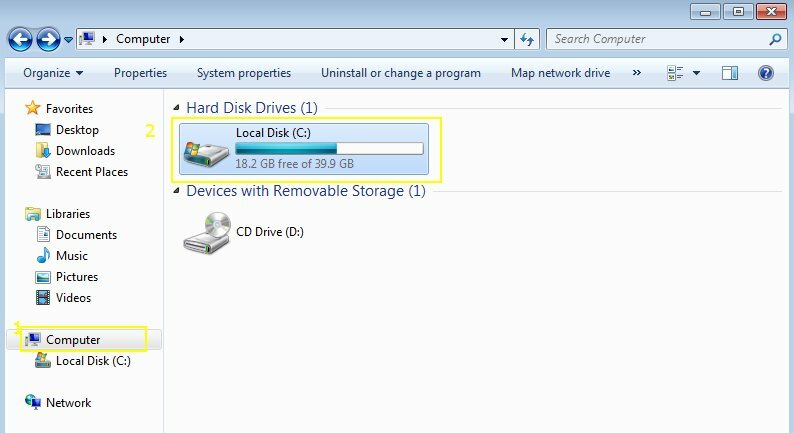 Click on Computer to show all the drives available. Then, double click on Local Disk (C:) to browse the C drive. The first level of the directory is Users, so we double click on Users to browse to C:\Users .  The second level of the directory is amida, so we double click on amida to browse to C:\Users\amida . You can follow the same procedure for the 3rd to 6th levels of the directories, and you’ll finally be able get to your destination directory: C:\Users\amida\AppData\Roaming\AnvSoft\Any Video Converter\ . To avoid accidental deleting of system files, you might want to repeat step 1 ~ 3 and restore the default viewing settings when you are done browsing.